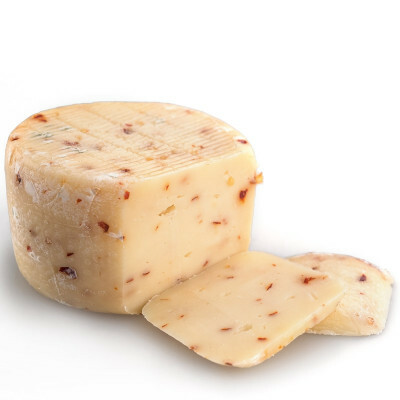 Slightly spicy, yet balanced out with its creamy, semi-mature sheep and cow cheese. An ideal product for those who love spicy flavours! A semi-mature sheep and cow cheese, opulent in flavour, a creamy paste with added chilli flakes. It has a slightly spicy flavour that makes it perfect as appetisers or combined with meats such as chicken, pork, beef. 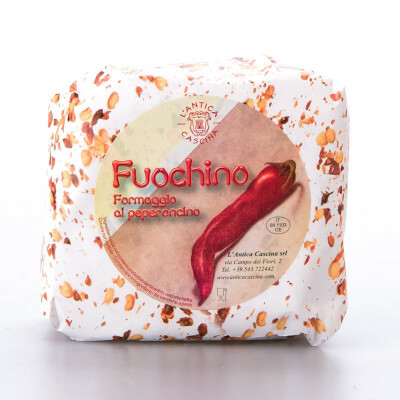 Pasteurized cow's and sheep'smilk, red chilli minimum 0.5%, cheese cultures, rennet of veal, salt. Rind treated with food preservatives E202, E203, E235. Rind not edible. MILK.